Home » Now Live in Nairobi City, Kenya! 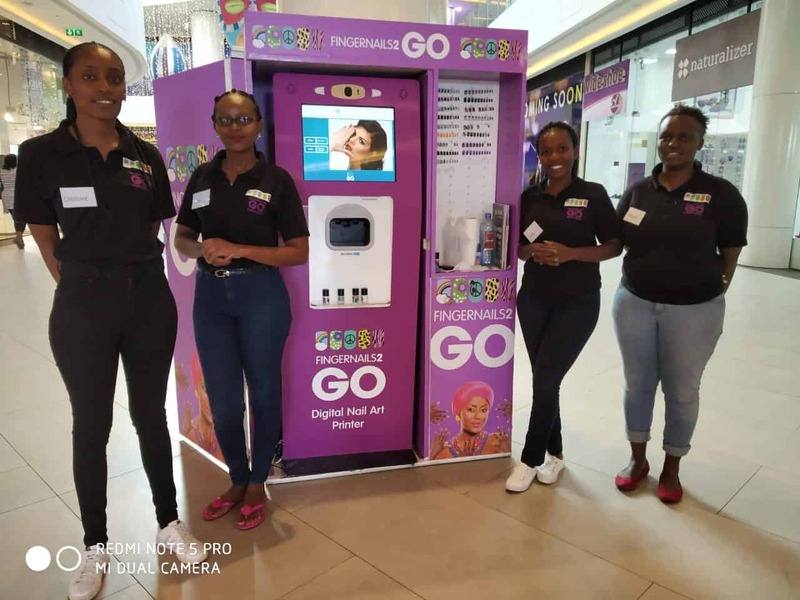 We are excited to announce that Fingernails2Go have a new team in Africa for the first time! 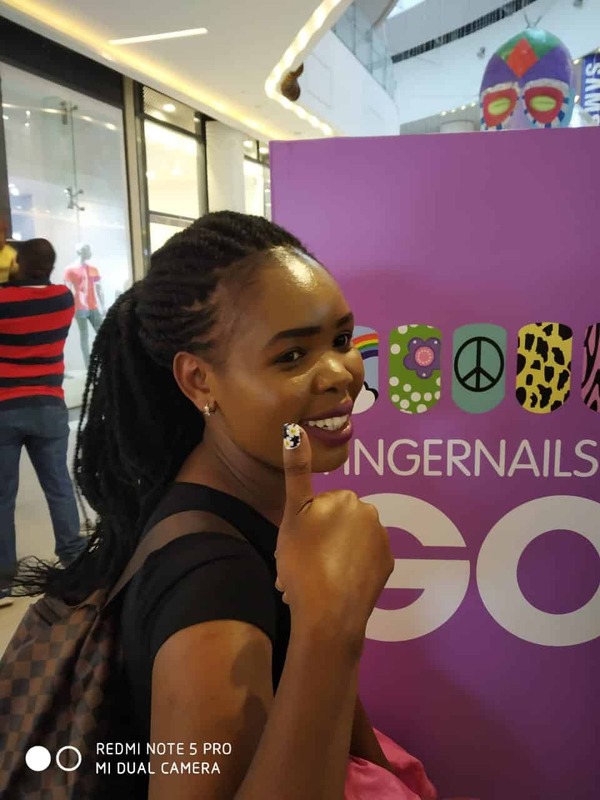 Fingernails2Go is becoming a worldwide brand and with the market for nail art still growing rapidly we have hit Africa for the first time! There are two freestanding kiosks located within the Nairobi City, the first kiosk made its grand opening in the 2 Rivers Mall along the Limuru Road and the other is situated in The Hub Mall – Karen. 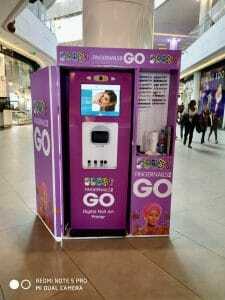 An important objective for each mall is to make sure everybody that visits has a unique experience and with the addition of Fingernails2Go you can now get your nails done in seconds! What we mean is no more waiting around for an appointment, no more sitting for hours waiting for the nail technician to freehand design detailed nail art and wait for layers of polish to dry on each nail… with the Fingernails2Go digital nail art kiosk all you have to do is scroll through the kiosks built-in extensive library, choose which nail design you would like on your nails and get printing! It really is just as easy as that! The kiosk presents a built-in camera which allows you to take pictures (#selfies) and even get these images printed onto your nails! There is also a USB port giving you the option to upload images from your smart device for that extra creative flair. There are also nail technicians on site so don’t be nervous as there will be a lovely team there waiting to meet you to show you how to get the perfect printed nails. 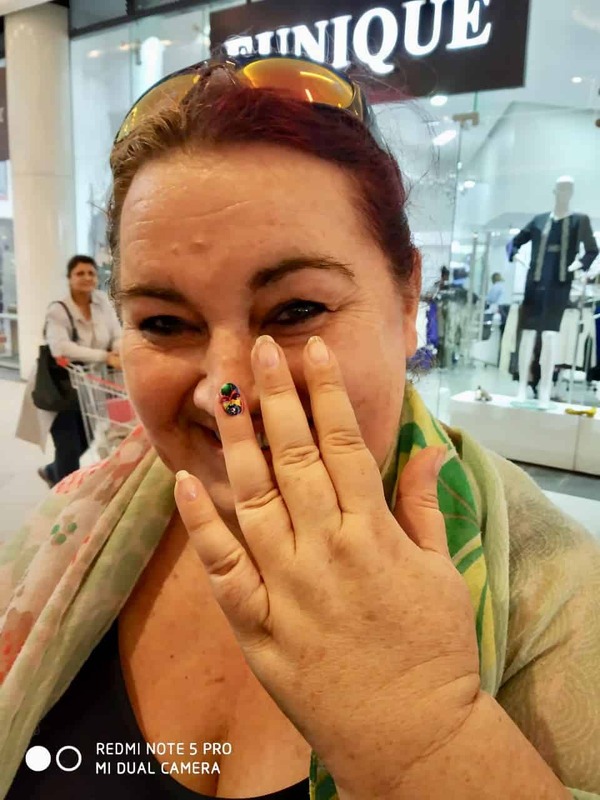 If however you do not fancy getting your own natural nails done, maybe you have a special occasion or event coming up and you want to save the designs for later use, you can get a set of artificial nails done for you to keep and apply later! There is a design for everybody so you will be sure to find one that you like that expresses who you are! 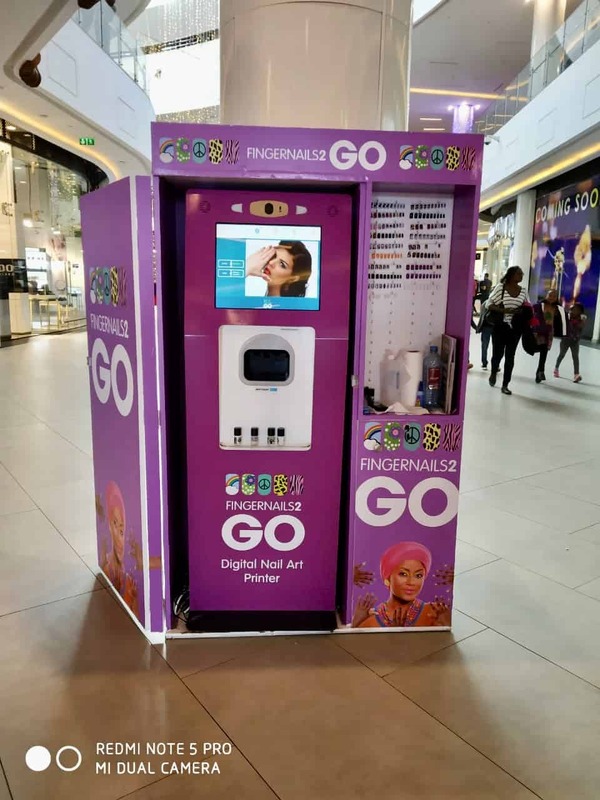 After a busy launch those who have already tried and tested the kiosk are in love with the concept of fast-fashion one could say, so why not be apart of the buzz and head on down and experience the digital nail art hype! Get creative and share your digital nail art designs with us on Instagram, Facebook or Twitter! We could not be happier about welcoming Africa to the Fingernails2Go family! To see if a kiosk is coming to a mall near you follow our social media accounts to stay up-to-date with the digital nail art trend! Not only do we share tips and tricks with all things nails, we share beauty and fashion trends too! So be sure not to miss out!